The golden rule of marketing is to be where your customers are. But interestingly, your customers are now everywhere. This makes it more challenging for marketers to identify the best channels to reach their target audiences. This calls for a holistic marketing strategy that makes the most of whatever channels you have at your disposal. Facebook and Google both allow businesses and marketers to run paid ad campaigns. Facebook is perhaps known for its excellent targeting opportunities and Google for its impressive reach. So, imagine how much of an impact they can have when they are used together. To maximize the impact of your ads, you should play it smart and combine both of them instead of focusing on just one. When you are advertising on more than one platform, it will help you maximize your brand’s reach. So you’ll be able to increase your ROI and generate high-quality leads. 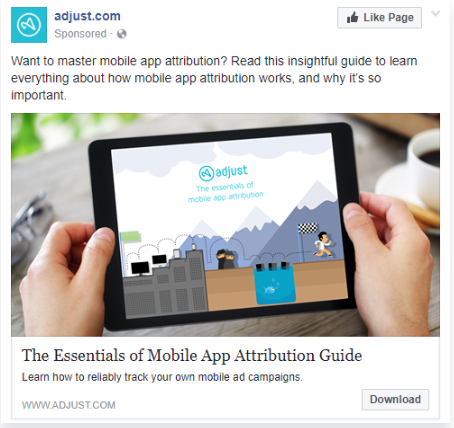 Want to better understand why you should combine Facebook and Google ads? Here are three of the best reasons to combine them so you can get the most out of your advertising campaigns. The ROI generated from Facebook ads and Google ads is increasing rapidly. Both types of ads help deliver impressive ROI for brands. However, it is human tendency to browse through different channels before deciding to make a purchase. In fact, 73% of customers hop from one channel to another and visit a maximum of two channels during their shopping journey. Facebook ads and Google ads can generate high returns, even on their own. So imagine the results when you integrate both of these channels. A holistic or integrated marketing approach ensures that there is a consistency of brand messages across platforms. You can use both Facebook and Google to post your ads and increase the chances of generating higher revenue. There will obviously be an added cost of advertising on more than one platform. But you can potentially generate more ROI when compared to using only one channel. Both Facebook ads and Google ads are types of PPC ads. They can both help you target more precisely to generate quick results. Both channels can help brands and marketers to increase brand awareness and gain new prospects. Via Facebook ads, brands can display ads to users who share similar characteristics as their top customers but who aren’t yet following the brand. This can significantly raise brand awareness as people who haven’t heard of you will discover your brand through attractive ads. On the other hand, Google ads enable brands to target people who are searching for relevant and related products. This is another excellent way to raise brand awareness. However, make sure that you create ad copy and a caption that the target audience will find appealing. This increases your chance of getting their attention and raising brand awareness. For example, see how CoSchedule began their caption by asking a relevant question to their target audience. They’ve also included numbers as social proof that will immediately attract the audience. Facebook lead ads are an extremely important lead generation tool. With the help of Facebook lead ads, brands can generate leads and convert them at a higher rate. Marketers can use conversion campaigns and send prospects to a landing page where they can fill out a form and become valid leads. Whenever a potential customer interacts with the ad, they are directed to a relevant landing page, even from the Facebook app. This helps the prospect avoid having to navigate to a new browser window. They don’t have to wait for a new page to open so they can submit the required information. So Facebook ads are a great way for brands to target people even when they haven’t specifically shown an interest in their brand and turn them into valuable leads. The best part is that they are convenient for the people being targeted, which increases the likelihood of turning them into leads. For example, the screenshot below shows the lead generation ad by Adjust. You can click on the download button and fill out the form to get the guide. This will also turn you into a lead for the brand. In Google, when a prospect has a question and is looking for help, it makes them a potential customer for your business. But you have to pay more to get high-quality potential customers when compared to Facebook. So, you can reduce the investment in your ads by specifically targeting people who have shown an interest in your product by searching for related and relevant queries. Since you will only be targeting people who express an interest through their search queries, you can gain more high-quality leads for your business. This Google ad by Upwork encourages potential customers who are looking for freelancers to hire. It’s simple and precise and it starts with a strong call-to-action, “Hire The Best,” which will encourage prospects to visit the website and become leads. Google ads and Facebook ads are two different but equally powerful tools with their own sets of pros and cons. And combining the two can help you generate the best results from your ad campaign. Since you’ll be using two channels, you’ll be able to increase your reach and brand awareness. This powerful combination will allow you to target a bigger, more relevant audience. This means you can generate more high-quality leads for your business. So you will end up generating a higher ROI from your ad campaigns. Have you ever tried combining Google ads and Facebook ads? Do you know of any other reasons to combine the two? If so, then please feel free to share your experiences and thoughts in the comments.